“Microsoft Monday” is a weekly column that focuses on all things Microsoft. This week “Microsoft Monday” features news about Windows 7 support ending in a year, an ad partnership with Verizon Media, an autonomous vehicle partnership with LG, new features on Teams, Windows 10 Version 1903 reserving 7GB for updates and a major US Department of Defense deal. One year from now on January 14, 2020, support for the Windows 7 operating system will no longer be available as pointed out by Techradar. This means that Microsoft is no longer going to deliver updates or security patches for Windows 7 starting next year. Microsoft ended mainstream support for Windows 7 in January 2015. But extended support is going to carry on until 2020. So you will be at your own risk using Windows 7 after that date. Windows 10 market share recently surpassed Windows 7 this month so users are already adapting to the latest Microsoft operating system. Support for Window 8 will continue until January 2023. Microsoft and Verizon Media have announced a new multi-year global native advertising deal. The deal will be launching later this month and marketers will be gaining additional access to 20% more native inventory through Oath’s Ad Platforms with ad formats including exclusive placements on Microsoft News/MSN. The two companies will also extend their existing relationship which delivers access to video, display and content marketing solutions across Microsoft’s properties like Outlook, Xbox and MSN. And marketers will be able to continue partnering directly with Verizon Media sales teams to access ad opportunities across those devices. As programmatic native inventory becomes available on more Microsoft properties, this inventory will be available through Oath Ad Platforms. Microsoft’s properties reach about 500 million people every month. 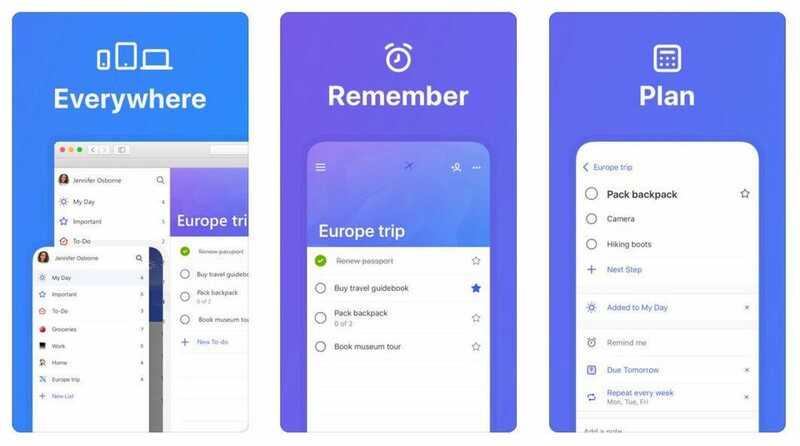 Last week, Microsoft released an update for the To-Do app on iOS. As part of version 1.48, the To-Do app includes a three-pane layout feature for the iPad. “It means that you can see your lists, your tasks, and the steps for a particular task all at the same time. You will no longer need to dismiss the sidebar in order to get back to ticking off your tasks,” says Microsoft in the changelog for the updated app. LG is partnering with Microsoft on autonomous vehicle initiatives. Through the partnership, LG will grow its autonomous vehicle and infotainment system business by utilizing Microsoft’s Azure cloud and artificial intelligence technologies. And LG is going to apply Microsoft’s artificial intelligence platform to its Advanced Driver Assistance Systems (ADAS), Driver-Status Monitoring Camera (DSM) and Multi-Purpose Front Camera products. And Microsoft’s Virtual Assistant Solution Accelerator will be integrated into LG’s infotainment systems. Microsoft’s Azure Data Box service captured data on the road that can be uploaded automatically to create a library that helps improve self-driving software. And Azure will be able to help AI self-driving software learn diverse patterns displayed by drivers and distinguish between pedestrians and other objects. Azure has a voice-enabled Virtual Assistant Solution Accelerator with its AI services. Through these services, LG’s vehicle infotainment system will allow drivers to quickly check traffic conditions on the road, search for restaurants and play music. Microsoft Teams has been updated with several new features that benefit Firstline Workers. Firstline Workers are more than two billion people worldwide who work in service and task-oriented roles across industries like retail, travel, hospitality and manufacturing. The new features include a customizable mobile experience with mobile-only features such as location sharing, a Graph API for the Shifts scheduling tool and a new Praise feature that makes it easy for managers and employees to recognize coworkers right within Teams. The customizable mobile experience enables retail associates, flight crew members and field service workers to share information with others in their organization. This feature was built with security and compliance in mind. And it supports location sharing, a smart camera feature and the ability to record and share audio messages. IT administrators are able to provide each employee role-based access to the primary Teams features that they need through the Graph API feature. This feature can be used for employees in any role and there is an option for IT to create a custom policy or use the new Firstline Worker configuration policy template. Microsoft is working on a new set of APIs that enables organizations to integrate existing workforce management systems with Teams. The first API is the Graph API for Shifts, which is a schedule management tool in Teams. As Shifts is now available in Teams for all customers, the API makes integration between Shifts and enterprise scheduling systems possible. The Graph API for Shifts is going to be available in public preview this quarter. The new Praise feature helps keep Firstline Workers engaged and motivated, which is especially important for retail associates as it experiences some of the highest turnover rates. And the Praise tool gives managers and employees a simple way to recognize coworkers in the Teams app where the whole team can see it. 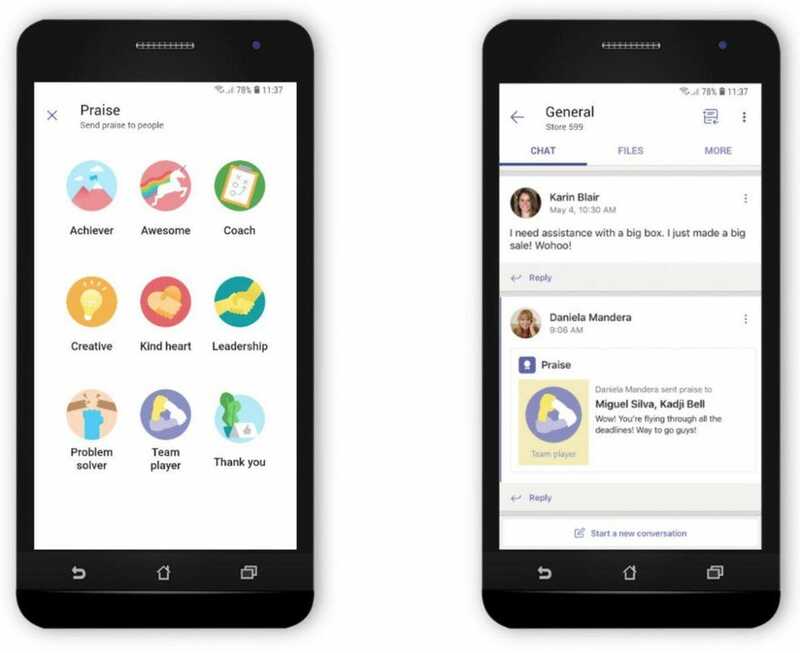 Through the Praise feature, users can share badges to celebrate every success. In the next major release of Windows (19H1), Microsoft is anticipating that reserved storage will start at 7 gigabytes. The amount of reserved space will vary over time based on how you use your device. Currently, the reserved storage issue is currently only available to Windows Insiders on the Fast Ring. And it will likely be publicly rolled out with Windows 10 version 1903 this spring. The reserve disk space will be used for updating apps and storing temporary files. So this will help users install updates without having to manually free up space on their PCs. “Reserved storage will be introduced automatically on devices that come with version 1903 pre-installed or those where 1903 was clean installed. You don’t need to set anything up—this process will automatically run in the background. The rest of this blog post will share additional details on how reserved storage can help optimize your device,” said Microsoft’s Jesse Rajwan in a blog post. Microsoft was awarded an estimated $1.76 billion contract with the Department of Defense (DoD), Coast Guard and intelligence community. The ordering period is set for five years with a completion date of January 10, 2024. “Support includes Microsoft product engineering services for software developers and product teams to leverage a range of proprietary resources and source-code, and Microsoft premier support for tools, knowledge database, problem resolution assistance, and custom changes to Microsoft source-code when applicable,” says a Department of Defense contract statement. Some of the other companies that were awarded contracts include Raytheon, GE Medical Systems Information Technologies, Transaero, CACI and Lockheed Martin.